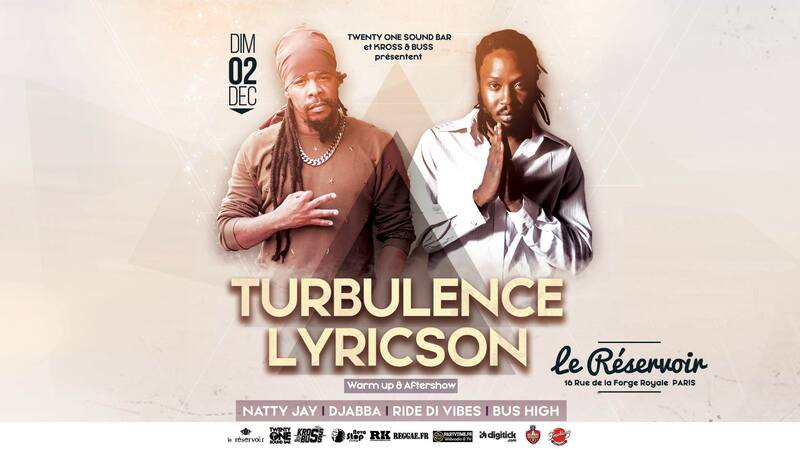 Last month, Turbulence had performed alongside Anthony B, and Lutan Fyah in Paris, France. Next month, on Sunday 2nd of December, he will be back in Paris. This time, he will come with the Guinean Reggae artist Lyricson, who’s promoting his latest album “Revolution Time Again,” at Le Réservoir. Natty Jay, Djabba, Ride Di Vibes, and Bus High will be in charge of warming up the crowd before the concert, and also entertaining the crowd after the show.